Organised by National School of Drama, the edition of global theatre festival will host 28 performances at Nehru Centre and Ravindra Natyamandir. The closing ceremony of the event will be held at the iconic Gateway of Mumbai. Theatre is one of the oldest art forms and even today it is being loved by millions across the world. 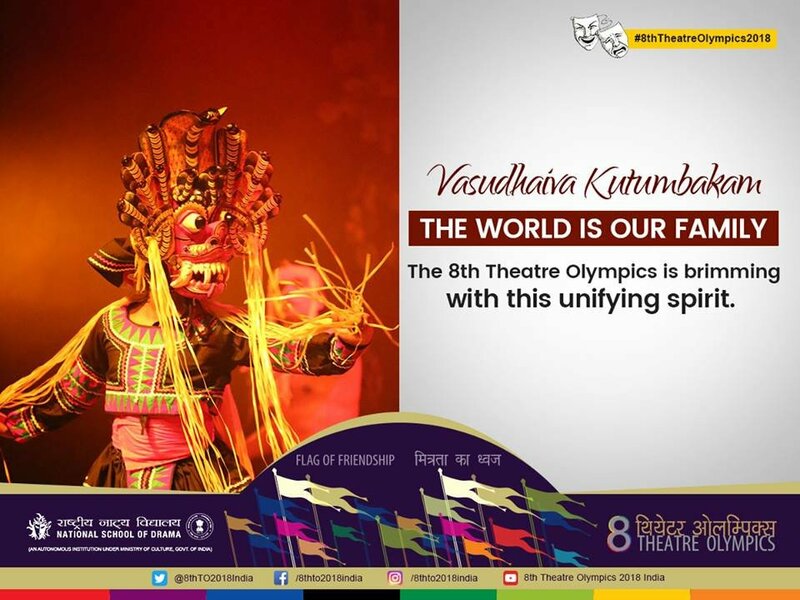 The city of Mumbai is known for its plays in different languages and the city now it is all set to co-host the 8th Theatre Olympics. Organised by the National School of Drama (NSD), the Theatre Olympics, Mumbai will host a total of 28 plays between March 24 and April 7, 2018, at Ravindra Natya Mandir and Nehru Centre, with an aim to present a diverse range of theatre forms from all over the world. The Directorate of Cultural Affairs of the state has joined hands with NSD for the festival in order to uphold its long association with an art form. The concept of Theatre Olympics was established in Greece in 1993, and since then has been conducted in Japan (1999), Russia (2001), Turkey (2006), South Korea (2010), China (2014), and Poland (2016). 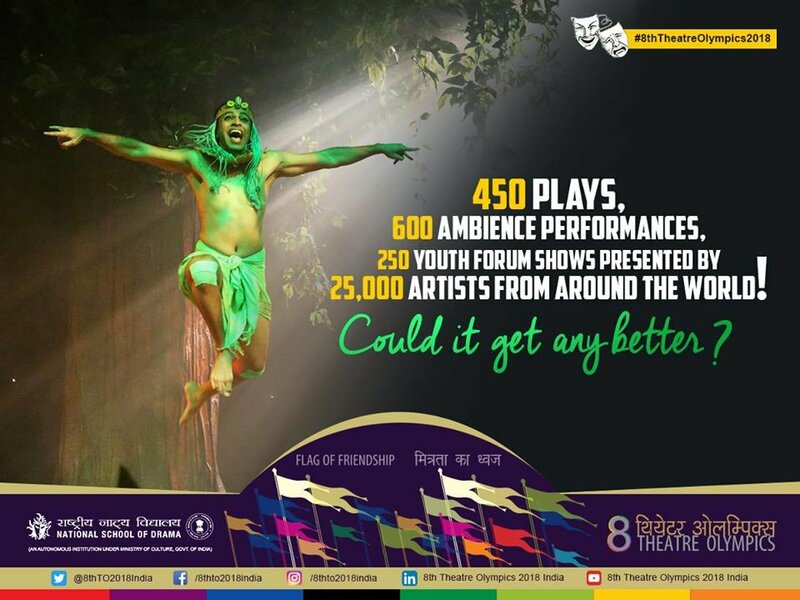 "For the past 3 years, we had the dream to bring Theatre Olympics to India. The dream we had seen has come true. Ever since we began to envision and achieve this feat, the ministry has extended their support to make this possible. This is a huge leap towards the direction of putting Indian theatre on the world map. We should be proud of the theatre legacy that is more than 2500 years old. This edition of the global theatre festival has been covered in 17 cities. Our country has a rich theatre culture in the country and a variety of skills, techniques, and performances. It is a necessity for us to get people's attention of experts from the theatre to bring this culture active again. We got permission in 2015 from International Theatre Committee. Initially, the team wanted to have around 1000 shows in a total of every capital in the country, but later we decided to conduct 500 shows across the country. Never in the history, has an event be held in such grandeur. We did not want to ensure that we attract the audience globally towards our theatre. People have been giving an excellent response regarding the event which has been overwhelming," said Prof. Waman Kendre, Director, National School of Drama. The closing of the event will be held at Mumbai's iconic Gateway of India, on April 8, 2018. Click here for the schedule. There is no cost for the entry, at the event. However, one needs to book the seat cards on www.insider.in. Booking can be done at the venue too.